The inexplicable disappearance of five U.S. naval bombers and one rescue plane in the Atlantic Ocean in the year 1945 is one of the most gnawing mysteries of the 20th century. Hundreds of ships and planes have “gone missing” throughout modern history. But how could an entire fleet disappear, only a hundred miles off the coast of Florida, with merely a few panicked radio signals to serve as an epitaph? Taylor was 28 years old. 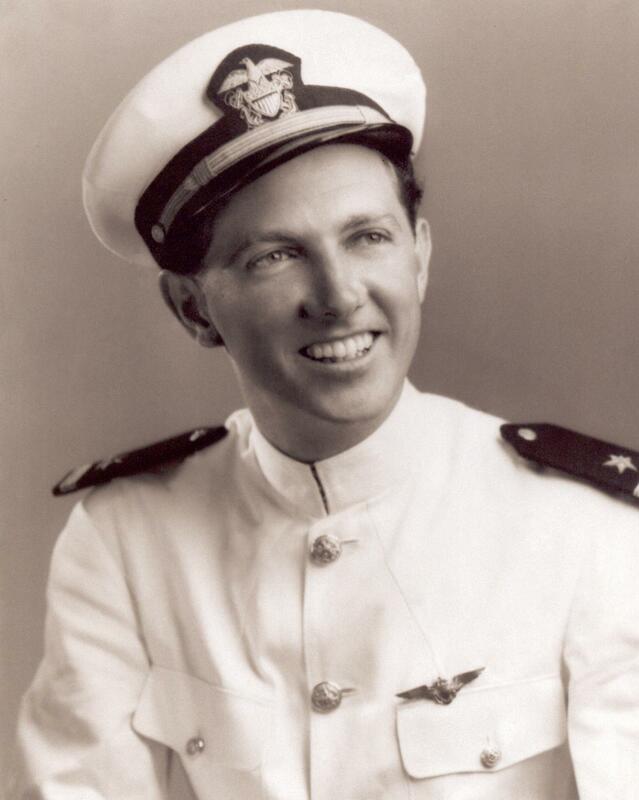 He’d graduated from Naval Air Station Corpus Christi in February 1942 and had served in WWII. Photographs show him to be slim, unimposing, with languid eyes and bright white teeth. Definitely more Audie Murphy than John Wayne. Taylor was an experienced WWII combat pilot. But he’d distinguished himself for something other than bombing Dresden: he’d ditched two planes in the ocean. The Avengers left base at approximately 2:10 PM. 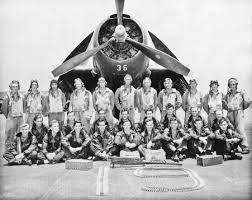 The flight plan was to fly due east 53 miles to Hen and Chickens Shoals, unload their bombs, continue east another 67 miles, turn sharply left and fly northwest 73 miles, then turn left again and fly 120 miles southwest back to the station. A triangular pattern, not too far offshore. The weather was a warm 67 degrees. Surface winds were 20 knots, with gusts of 30 knots. Average conditions for a training mission. But there were also scattered showers. 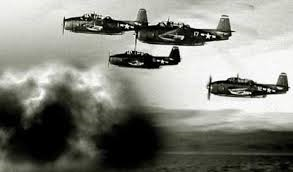 A second squadron, FT-74, had followed Flight 19 on a similar training mission that day. Lieutenant Robert F. Cox led FT-74. He requested clarification from Powers, and picked up a series of confused suggestions from Flight 19 crew members as to their exact position and flight path. Then Taylor came on. “Both of my compasses are out,” he transmitted, “and I am trying to find Fort Lauderdale, Florida. I am over land but it’s broken.” Taylor mistakenly concluded he was over the Florida Keys. He was, in fact, hundreds of miles northeast… over the Bahamas. FT-74 radioed NAS that Flight 19 was lost. Acting on Taylor’s assumption he was over the Keys, NAS advised him to put the sun on his port wing and fly north. Taylor did, indeed, head north. Further into the black Atlantic. The five planes were never heard from or seen again. It’s believed they had enough fuel to remain in air till 8 PM. After that, they’d be at the mercy of the roiling ocean. Two PBM Mariner patrol planes were dispatched to perform square pattern searches in the area west of 29 degrees N, 79 degrees W. Only one returned. A tanker, the SS Gaines Mills, testified later about seeing an explosion and a large oil slick on the water’s surface, near where the one Mariner disappeared. Like Flight 19, the missing Mariner was never found. 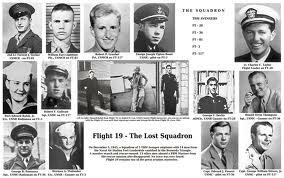 There have been attempts to locate the remains of Flight 19. So far, however, what little wreckage that’s been found has proven inconclusive. Although the navy ultimately attributed the disappearance to “cause unknown,” Lieutenant Taylor’s own mother may have influenced this decision. She accused the navy of unfairly blaming her son, basing this on a specious argument that, if no bodies or wreckage could be located, how could blame be attributed? The mysterious disappearance of Flight 19 may never fully be explained. But it’s certain that several crucial factors contributed to six planes plunging beneath the ocean waves: bad weather, malfunctioning equipment, and most of all, human error. Flight leader Taylor clung to the notion he was over the Keys, when in fact he and his pilots had turned away from the mainland while over the Bahamas. They landed in the center of The Twilight Zone. I saw your comment on Amateur airplanes… Just had to take a look. Great post about a great mystery. I am an early babyboomer (1948) one year after Roswell. Thank you very much, Pierre! (I like your name). I’m not one for the supernatural, but mysteries certainly are fascinating. Time has softened the tragic aspects of Flight 19, but it must be horrible right now for families of those on that Malaysian flight. I knew you would like my first name. I agree with you about the Malaysian flight. The families must be living such a nightmare. I am not also for the supernatural, but more for the innernatural with the things I have discovered through my blogs and the people I have met. Bermuda Triangle holds many mysteries, and this is one that deserves to be solved, rather than the Coast Guard saying the triangle does not exist. Here is an interesting thought, draw a line around the world map, and see just how close the time line is to where Amelia Earhart supposedly went missing. It’s certainly intriguing, what happened to both Amelia Earhart and Flight 19 (among many other unsolved mysteries). Thanks for following my blog! !